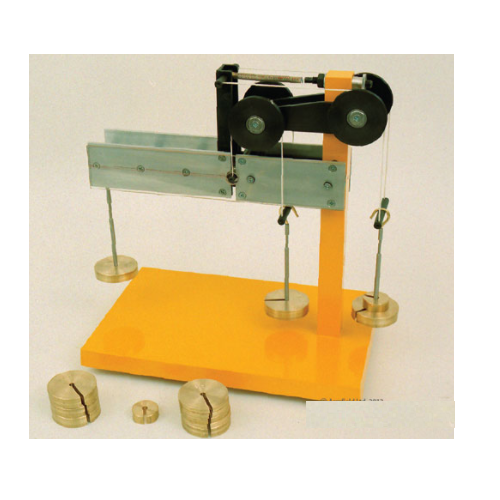 Scientico is a leading Manufacturer, Exporter & Supplier of Structural Lab Equipment. 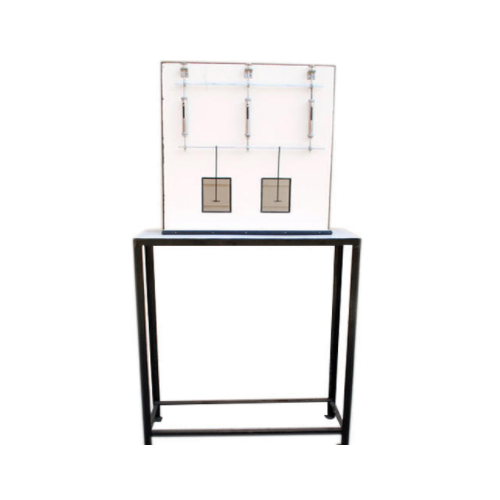 We offer a comprehensive range of Structural Lab Equipment, which are widely used in Schools, Colleges and Universities. The Equipment has been widely appreciated for its superior quality and high efficiency. Equipments for Engineering Education - Engineering Training Systems, Engineering Training Equipment - Equipment for engineering education. Technical Teaching Equipment for Engineering. Technical Educational Equipments. 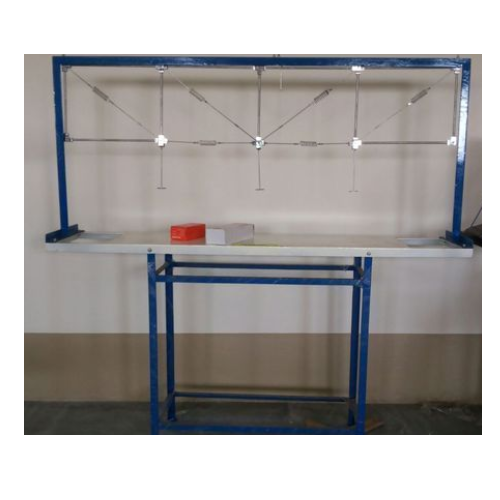 We are the leading suppliers of Structural Lab Equipments. Size 1" x 1/2" x 1/8"
Keeping in mind, the ever-evolving requirements of our valuable clients, we are offering an exclusive range of Unsymmetrical Bending Apparatus. The offered apparatus is precisely designed by our experts using high-grade raw materials and latest technology in compliance with the international standards. Our esteemed clients can avail this product at competitive prices. In addition to this, we provide our entire range in different specifications to meet the varied needs of clients. 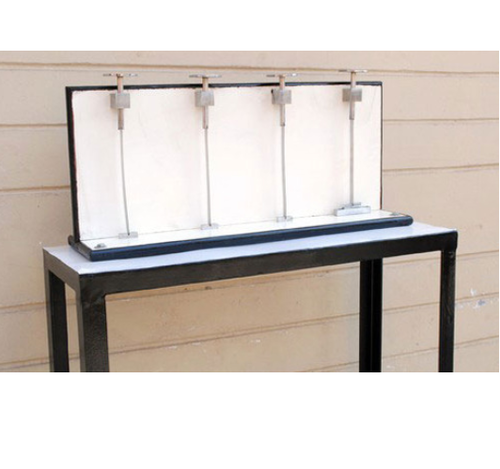 From our wide range of products, we offer optimum quality Column and Struts Apparatus. The offered product is manufactured using optimum quality raw materials and high-end technology. We offer this range in different sizes, designs and other related specifications, in order to meet needs of our prestigious clients. Apart from this, our offered range is rigorously tested by our experts on well-defined parameters to deliver a flawless range at our client's end. With sincere intentions to preserve and uplift our reputation in the international market, we are bringing forth a precisely designed range of Curved Member Apparatus. 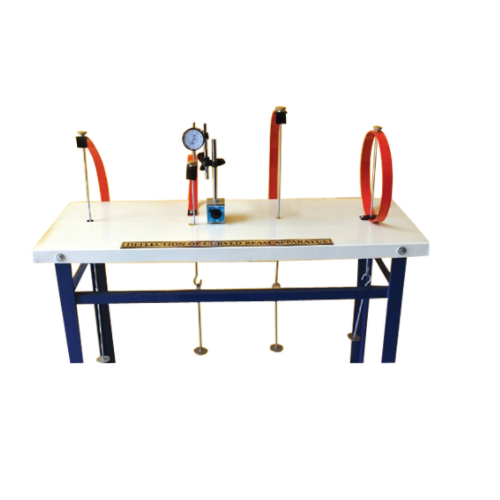 Our offered apparatus reflects true workmanship of our skilled professionals who manufacture this product using superior quality materials and modern technology in accordance with certified industrial standards. This apparatus has gained huge appreciation for its attributes like optimum quality, excellent finish and durability. Being one of the reputed organizations in the market, we have carved niche in the industry by offering an enormous array of Elastic Properties of Deflected Beam Apparatus. The offered range is designed using high-grade raw materials and advanced technology by our skilled professionals. To ensure quality, this product is stringently tested on various parameters. Clients can avail the offered range from us at highly affordable prices. In our extensive range of products, we offer our esteemed clients a broad array of high-quality Pin Joint Truss Apparatus. This apparatus is manufactured using quality assured raw materials that are procured from trusted vendors of the market. 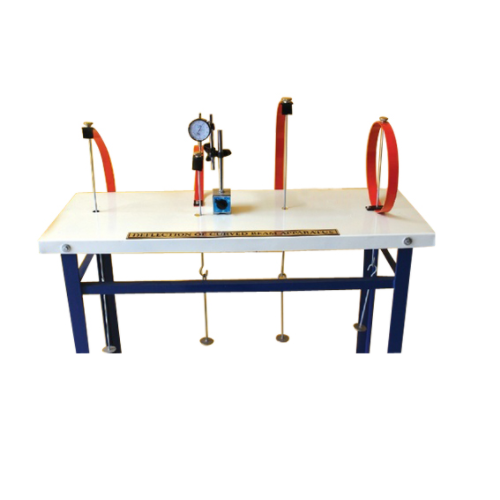 Before the supply, the offered apparatus is strictly tested on various quality parameters in terms of durability and reliability. 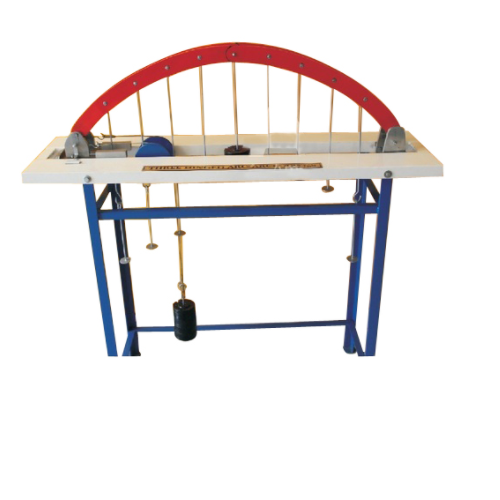 Further, this apparatus is available in various specifications and is highly demanded in the industry. Our precious clients can avail from us an exclusive array of Three Hinged Arch Apparatus, which is manufactured as per the set industrial norms utilizing premium quality raw materials & advanced technology under the supervision of skilled professionals. Our quality controller team examines the entire range on various parameters of quality in order to meet the various requirements of the clients. We offer this apparatus to our esteemed clients at unbeatable prices. 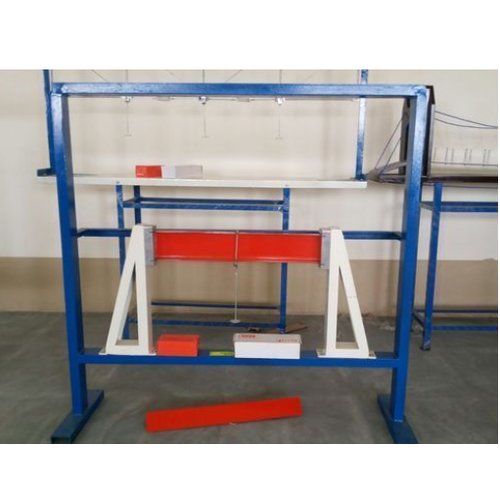 We are identified as one of the most competent company in this industry, engaged in providing an extensive series of Bending Moment & Shear Force Apparatus. 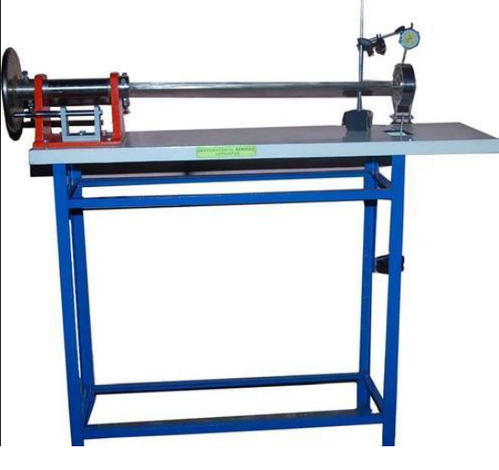 Owing to our expertise in this domain, we are engaged in offering a supreme quality Shear Centre Apparatus. Being a quality focused name, we manufacture and supply the finest quality of Portal Frame Apparatus. 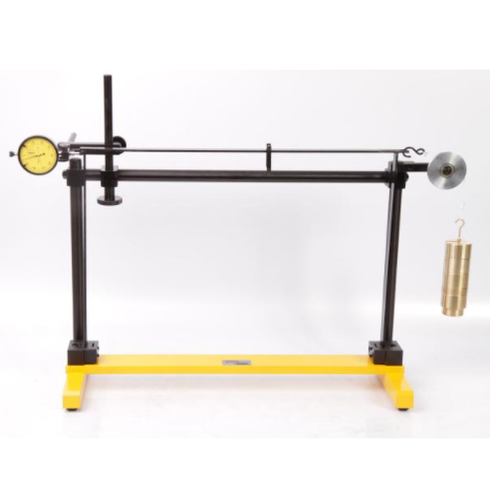 We are indulged in offering the finest quality Elastically Coupled Beam Apparatus.Apparatus consists of a three parallel bar suspension system with the elastic beam at their upper and lower ends. Looking for “Structural Lab Equipment”?